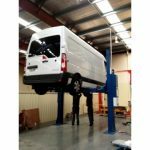 Adaptable and strong 6000kg lifting capacity hydraulic 2 post hoist with double jointed arms. 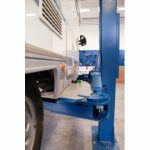 The 2.60 SST DG is not only one of the most innovative hoists utilising Nussbaum’s SST proprietary technology but it is one of the most adaptable 2 post hoists. 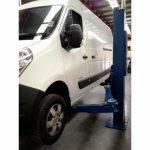 With Nussbaum’s double jointed arms system, the arms fold inwards to easily reach the pick up points on small wheel base vehicles and when extended, they provide extreme stability lifting large and heavy vehicles. 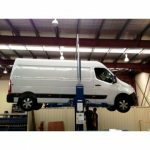 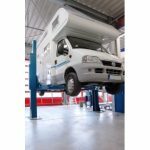 The 6000kg lifting capacity means servicing anything from small cars to light trucks.